At Ranger Design we’ve been listening to the needs of tradesmen for 25 years. We’ve learned that some tradesmen or delivery professionals need an upfit that allows maximum versatility. For them, we’ve engineered the Fold-Away van shelving system. 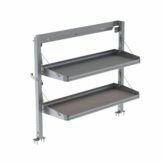 Ranger’s Fold-Away foldable van shelving system is unique in the industry; it combines the strength and rigidity of aluminum extrusions with a laminated (solid substrate) shelf base, to give a folding shelf tray that is strong, quiet and very durable. These gas shock assisted shelves, means that there are no frustrating latches and that shelves can be raised or lowered with ease. Once in the up or down position they are held firmly in place with no rattles or annoying noises. At Ranger we understand that fast matters; no matter what you’re doing, speed is essential. The Fold-Away advantage is in its versatility. 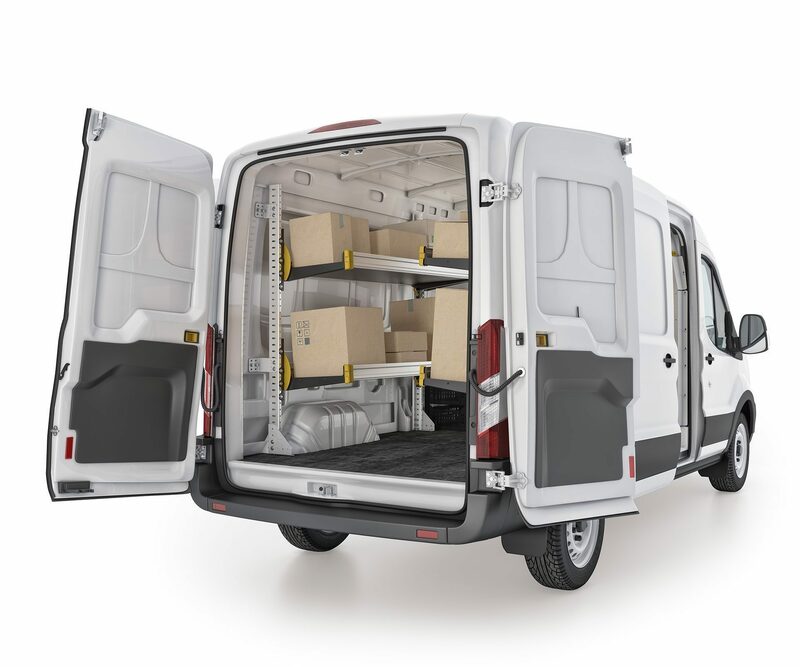 Designed to meet your needs, you can go from having a van full of shelving to an empty van that is ready to haul a pallet or other bulky items in just minutes. 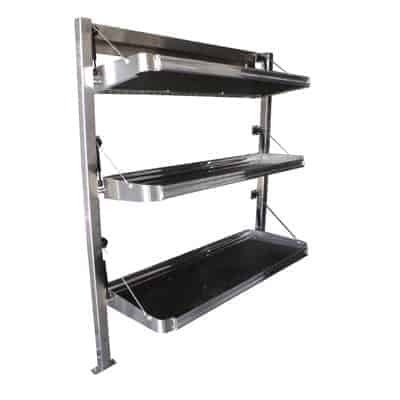 Ranger’s unique foldable van shelving system is lightweight and strong, and is available in different shelf widths (30″, 36″, 48″, 58″, and 72″) and different shelf depths (18″ or 21″). 2-shelf or 3-shelf units are available. 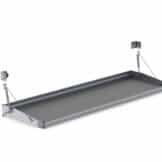 Gas springs hold shelves firmly in the up or down position and eliminates vibrations and rattles. 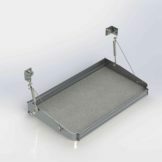 Fold-Away van shelving is available with a cargo rail to securely tie packages down.